Timm von den Busch, Peter Dortnbusch und Marvin Maxwell, the box-owners of Crossfit Crefeld, are giving us a little insight into what happens at their BOX! Enjoy another episode of our Europewide BOX interviews. Timm first heard about CrossFit in 2012, due to the search of new Sports which we could try out. 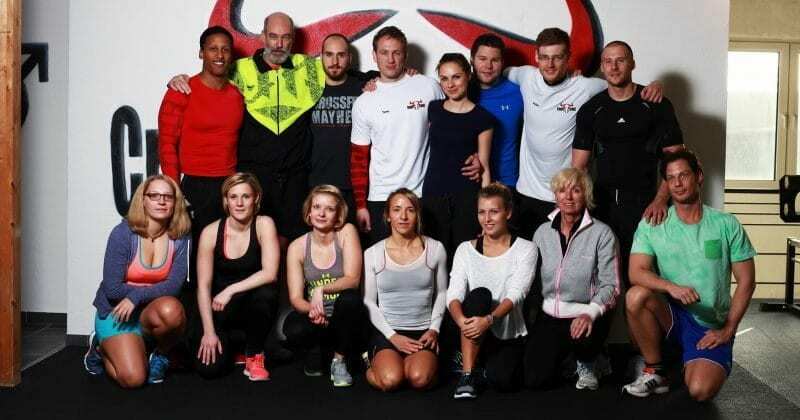 We then experienced CrossFit on our own, which blasted our overall fitness and enthusiasm for this sport. After that, we decided to take the Trainers Level one Course to improve our own technics. Because we care about every single member and not just the mass. We want to put some Athletes in to the Games next year as we have discovered some with great potential. Yes we do, if they like to hear about it. If they are getting to lift more and more weight we recommend to have a look into the Zone Diet. First we will proceed with your technics in our Rookie workouts with small weights, putting on more and more weight over time (few weeks), if the technic is healthy. After you mastered the Rookie workouts (Level 1) and, where we will have a lots of conditioning, besides the technics, we will put you to the next level, always keeping an eye on your technics. Personal: Wall of “you vs. you challenge” – Everybody can write down his goals, what he/she wants to achieve at the training (i.e. Muscle up or 120kg Clean). They have to say what they want to do for that (i.e. eat clean) and what the box can call them, if they did not achieve this goals. Timm has been in contact with CF Dortmund and CF Essen, but we want to extend our connections to the other boxes in the near future. To reach out to the community and improve our relationships to them. We try to exchange Shirts in every box where we can get to. Of course, everybody is welcome and can join us to enjoy CrossFit – there would be a drop in fee, though. But for the 20€ you will get a CFC Shirt. 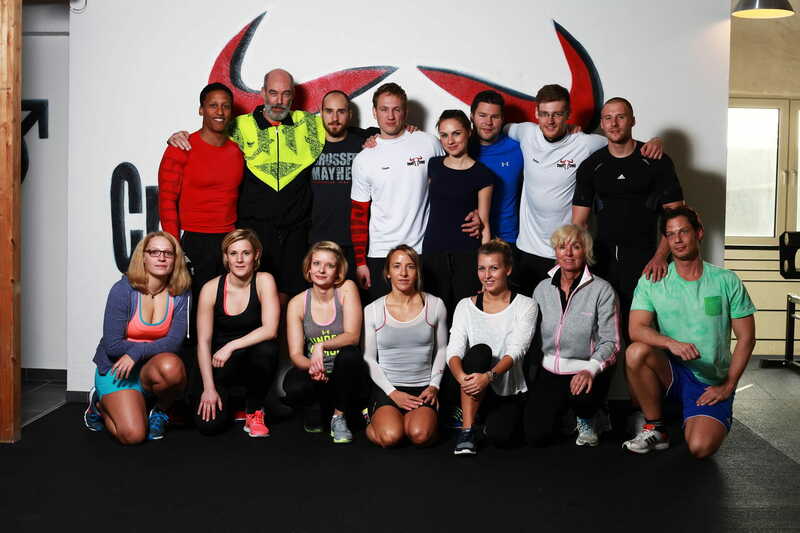 Just send us a message on Facebook – CrossFit Crefeld – a mail info@crossfit-crefeld.de , or give us a call on the phone number listed on the hompage: www.crossfit-crefeld.de.